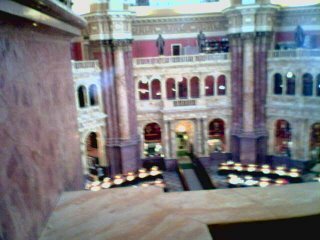 This rather blurry photo of the main reading room of the Library of Congress was taken today while I was on a guided tour there. 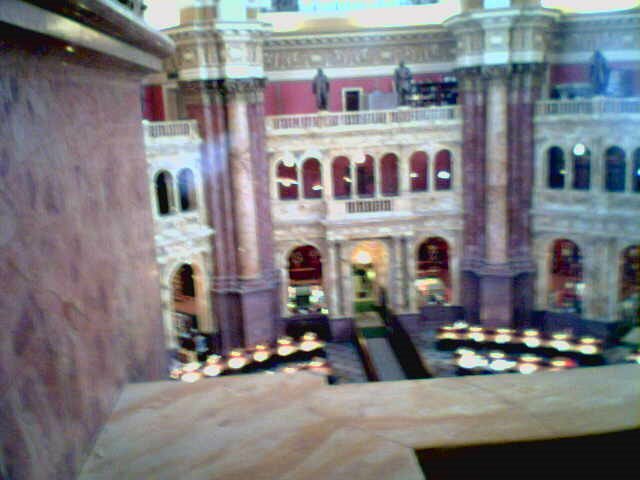 No photos are allowed of the room (no reason given) and it's through 1.5 inches of glass on a cellphone camera. Incredibly beautiful room. Stupid rule. Thus the transgression. What's the government's phone number again? Nice work here, CAV. You are a menace with the mini-cam and you will not be deterred.